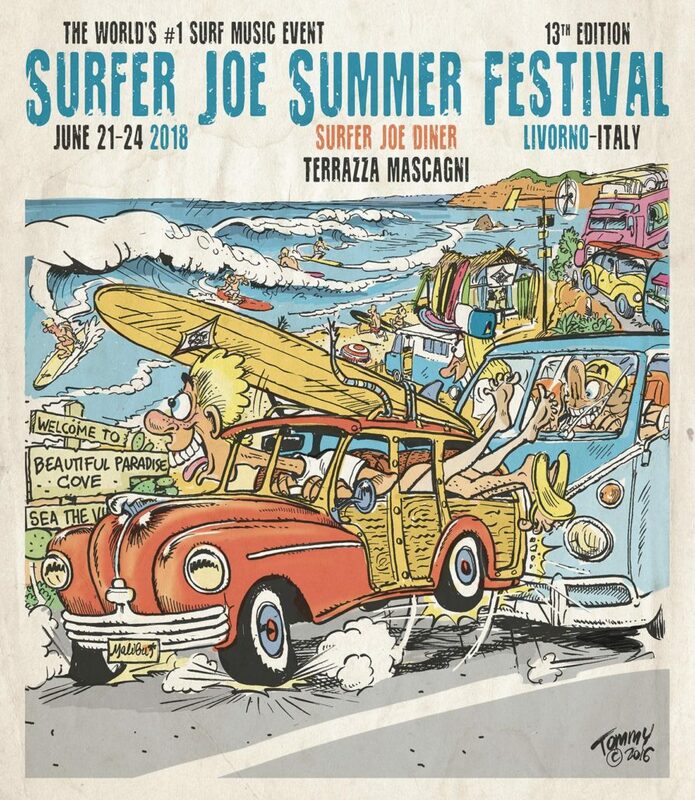 The Surfer Joe Summer Festival is the largest gathering of surf music fans in the world. It is a great occasion for those who share the love for this unique music to meet new and old friends from all over the planet. This is a 4-day immersion into the world of instrumental surf music with an intense program of concerts, seminars and various attractions, all happening mere steps away from the Mediterranean Sea along the beautiful coast of Tuscany. Since 2003 there have been 11 editions of the festival without any musical compromise. The SJSF proudly keeps things authentic and offers a true representation of the global surf music scene by showcasing many of its best bands.